www.mvsu.edu is committed to protecting the rights of all visitors to www.mvsu.edu. We are committed to keeping your personal information secure and have created this privacy statement to share our information gathering and dissemination practices for this website. We will protect your information, and will not release your name, email address or other personal information to any advertiser, merchant, or other third parties not related to www.mvsu.edu without your permission. We will not give, sell, share, rent, or trade information to others in ways different from what is disclosed in this statement. www.mvsu.edu stores its records in the united states. www.mvsu.edu is the owner of the information collected on this website. The www.mvsu.edu website may contain links to other websites. Please be aware that we are not responsible for the privacy practices of other websites. When leaving our website, be sure to read the privacy statements of each website that collects personally identifiable information. 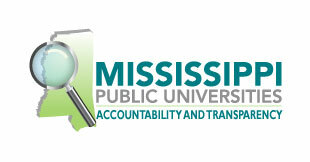 Our privacy statement applies solely to information collected on the www.mvsu.edu website. www.mvsu.edu has security measures in place to protect the loss, misuse, or alteration of customer information stored on our systems. We use industry standard procedures and processes, such as firewalls, encryption, token authentication, application proxies, and monitoring technology to track abuse of our network and its data. When you submit information about yourself to www.mvsu.edu over the internet, the information may travel over many systems that are not under the control of www.mvsu.edu. To prevent unauthorized access,maintain data accuracy, and ensure the correct use of information, we have put in place appropriate and typical physical, electronic, and managerial procedures to safeguard and secure the information we collect online. All employees, contractors and other companies engaged by www.mvsu.edu for work that involves access to personal information are contractually required to keep the information confidential and not to use it in any way other than what is necessary to perform their work for www.mvsu.edu. An IP address is a number automatically assigned to your computer whenever you access the internet. All computer identification on the internet is conducted with IP addresses, which allow computers and servers to recognize and communicate with each other. Your IP address does not contain your name but does provide additional demographic information. www.mvsu.edu does not release IP addresses to advertisers or third parties. We use your IP address to help diagnose or detect problems with our server, for security reasons, to conduct system administration and site analysis, and to administer our website. Any demographic information collected from your IP address is separated from your name and email address to protect your privacy.